Parking: Easiest to park on Nawiliwili St. However you can park at Hanauma Bay (if the lot isn't already full). 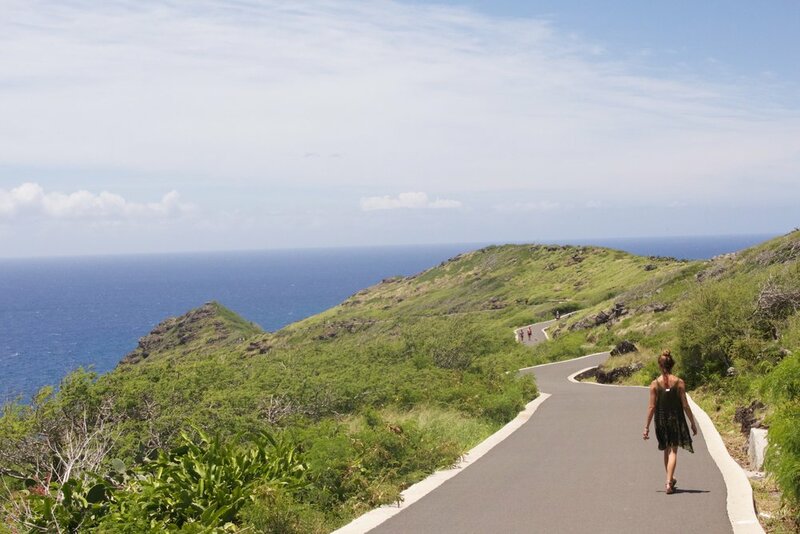 What to expect: The Hanauma Bay Ridge trail is an easy, but long uphill hike on a paved asphalt road to the Hanauma Bay rock. The trail begins just West of the parking lot for Hanuama Bay. Follow the walkway to the top of the ridge. You can continue down the dirt trail if you feel like being adventurous (There is a secret beach and even a hidden rock bridge). Once you climb down you are able to explore any of the areas around the rock. This is a great vantage point of Aina Haina, Hawaii Kai and Hanauma bay. -There is little, to no shade on this trail. Its a good idea to bring a hat and sunscreen if you burn easily.